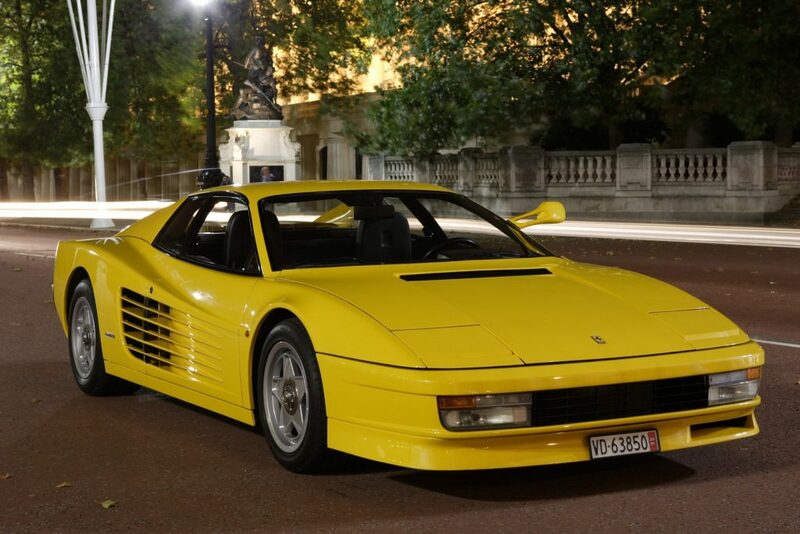 Two ultimate versions of the Ferrari Testarossa will be offered at Silverstone Auctions’ May Sale, taking place at Silverstone race circuit on May 23rd. Housing a 4.9 litre V12 engine pushing 390BHP, the Testarossa was capable of an impressive 0-60mph time of 4.7 seconds and top speed of 196mph. With Testarossa prices now rapidly rising, having increased by more than 50 per cent in just six months, these two cars present a fantastic opportunity for collectors. The final incarnation of the iconic series, a 1994 Ferrari F512 M is estimated at between £280,000 and £330,000. One of just 501 made worldwide, just two owners from new have enjoyed this highly collectable, matching numbers and rare car. This particular left hand drive car was supplied new to the German market via their dealer, Tamsen, in 1994 finished in Giallo Modena with Nero leather upholstery. The car was then sold on by the first owner to Japan from where it has recently returned with a comprehensive service history. It has covered a mere 11,000 miles from new and is supplied with three keys, service books, toolbox, flash light and Tubi Exhaust. From one of the final versions to one of the first, also going under the hammer is an early 1986 ‘Flying Mirror’ example; one of the earliest and rarest of all Testarossas. 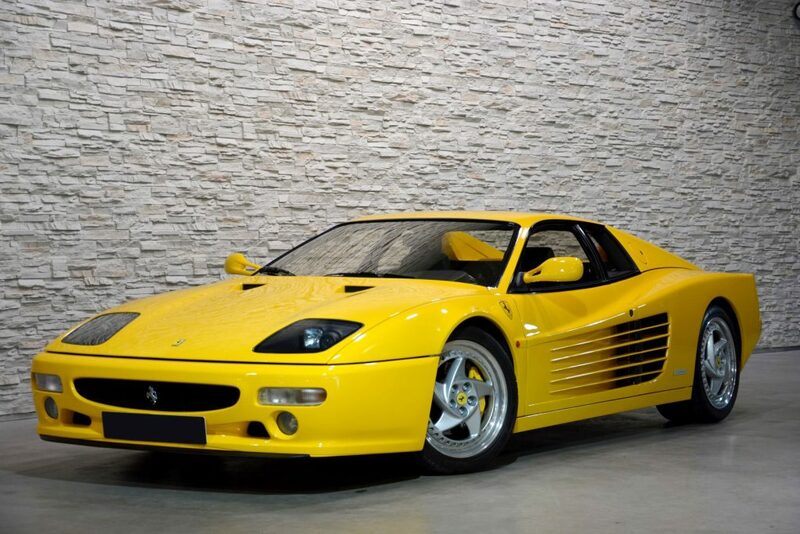 First delivered to Switzerland in 1986, the car was originally finished in Bianco, but was repainted early in its life in Giallo Fly Yellow, arguably one the best colours for a Ferrari. It remained in Switzerland until the current owner purchased it in 2004 and eventually registered it in 2006. Its odometer reads just 45,000 miles and with only two previous owners, this car is estimated at between £80,000 and £100,000, and has a fantastic history. Having been maintained regardless of cost by a number of Ferrari specialists, most notably Autofficina, it has been consistently serviced to a very high standard. The interior has also been well maintained, with the 1980’s Pioneer stereo intact as well as the three piece luggage set in a cloth bag. Well known within the supercar world, this car has featured in a number of magazines including Evo, Octane, and Classic and Sportscar. One of the rarest Testarossa variants on the market, this model is a true iconic supercar. Two more Testarossas will be offered including a 1989 example, presented in Rosso Corsa, estimated at between £120,000 and £140,000. For those unable to attend the sale in person, buyers can register to bid on cars online through two platforms including Proxibid and Live Auctioneers. Bidding can also be made via phone or by leaving a commission bid with Silverstone Auctions prior to the sale.